In 1983 we started in the construction business, providing roofing services as well as interior and exterior painting. We also gained experience in siding, soffit, and fascia. 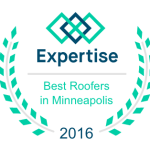 Since 2002, we have been lead certified and take seminars regularly to learn updated, new information on venting, installation, and new products. We also take continuing education classes yearly. We now boast a BBB “A+” ranking since 2003, and Select Shingle Master certification thru CertainTeed Corporation. 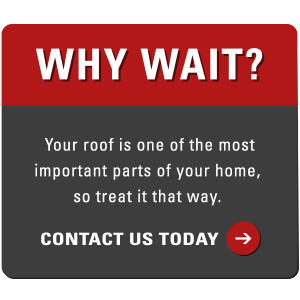 Why Wait Roofing LLC has vast installation experience that includes 1000s of single-family homes, multi-unit dwellings, churches, and multi-million-dollar homes. We continue setting exceptional customer service expectations with our customers. Because of our past experience with exterior painting, we can assist in the correct coordination of color schemes, covering the entire façade of your home. Thank you for visiting our website. Our staff is looking forward to providing you with a memorable installation and design experience that will last for years to come.